Wilson Picket was born in 1941, in Prattville, Alabama and the fourth of 11 children. The family moved to Detroit in his mid-teens and he sang in several Baptist church choirs. His forceful, passionate style of singing was developed between the sacred and the secular whist singing on the streets with the other kids. Wilson was a wild child with a fascination for guns but his love of singing kept him grounded. In 1955 he joined the Violinaires and sang gospel-harmony for four years. In 1959 he became lead singer of the Falcons, singing soul. The line-up of the group included Eddie Floyd (Knock on wood), Joe Stubbs (brother of Levi Stubbs) and songwriter, Mack Rice (Mustang Sally and Respect yourself). The group had previously found success with "You're So Fine," which sold over one million copies. Wilson co-wrote and sang lead on "I Found a Love" which made number six on Billboard's soul charts in 1962. Record producer, Robert Bateman recognized his potential and encouraged him to try a solo career. 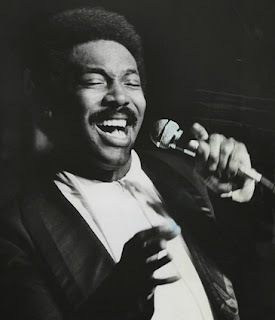 Wilson released several singles including “I'm Gonna Cry," collaboration with Don Covay) before moving to "Double L" records. There he released two earthy R&B singles, "If You Need Me" and "It's Too Late". When Jerry Wexler (Atlantic Records) heard them he took the singer to Memphis (1964) but not before he took “If you need me” (co-written by Wilson Picket) and recorded Solomon Burke singing it. The single became a soul classic. Wilson was less than amused although his own version was a minor hit. In the Stax studio, Wexler eventually matched Wilson with Booker T. and the MG's and his third single was ‘In the Midnight Hour.’ The single reached the top of the R&B chart and hit #21 on the pop chart in 1965. The album ‘The exciting Wilson Picket’ was recorded at Fame Studio in Muscle Shoals, Alabama, and established the artist as a major soul star. Steve Cropper and Wilson Picket continued their song writing collaboration at Atlantic Records and produced a long series of hits, including: "Don't Fight It" (1965), "634-5789”, (1966) "Land Of 1,000 Dances”, (1966) "Mustang Sally" (1966) and "Funky Broadway" (1967). By the end of the year the singer was working with producers Tom Dowd and Tommy Cogbill, and also began recording numerous songs by Bobby Womack. In 1968, he produced the album, (I am a) Midnight Mover with the hit single of the same name. Other hits followed including "Hey Jude," (1969) with guitarist, Duane Allman, and a year later, "Sugar, Sugar" was recorded at Criteria Studios in Miami. In 1970, he worked with producers Kenny Gamble and Leon Huff at Sigma Sound Studios in Philadelphia which yielded two crossover hits, "Engine No.9," and "Don't Let the Green Grass Fool You." In 1972 Picket left Atlantic but by now his run of soul hits had dried up. As an artist he failed to develop other musical genres and as the popularity of soul music dwindled his record sales dropped. By the early 70s Wilson was no longer making hit records. Despite this he continued to be a popular live performer and tirelessly toured with ‘The Soul Clan,’ i.e. Joe Tex, Don Covay, Ben E. King and Solomon Burke. Wilson continued to work on and off through the 90s despite spending some time in prison for a drunken driving. Plagued by health problems, he suffered a fatal heart attack in 2006, and died aged of 64.